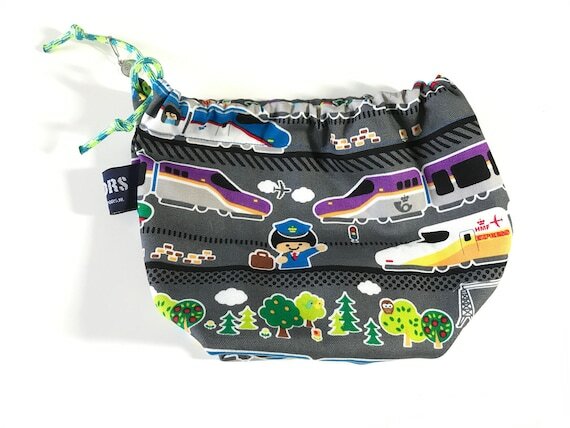 Train print, drawstring project bag with boxed bottom. 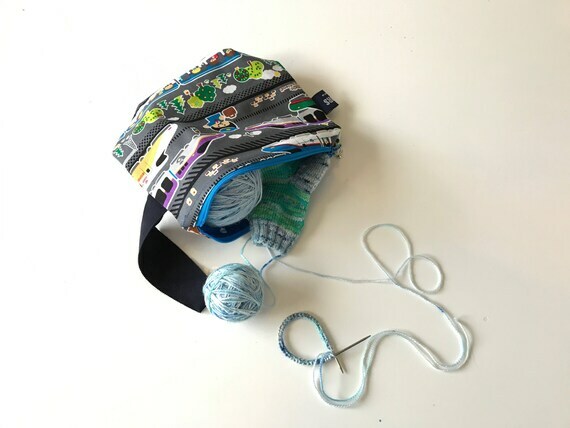 Train print, lined and zippered project bag with boxed bottom and wrist handle. 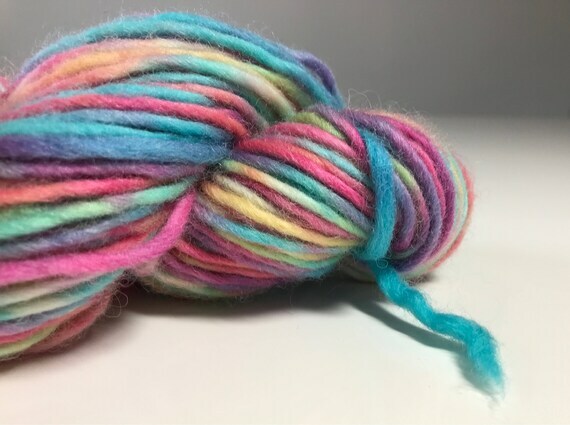 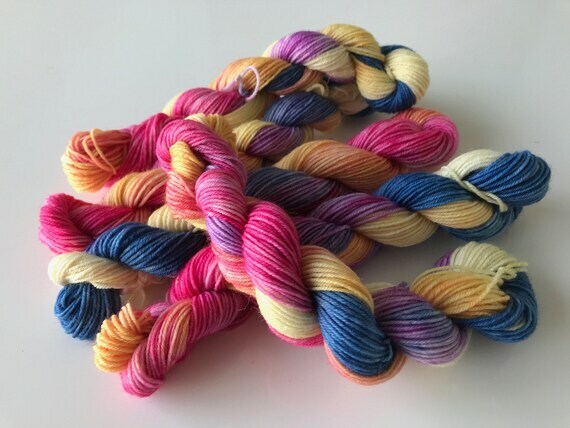 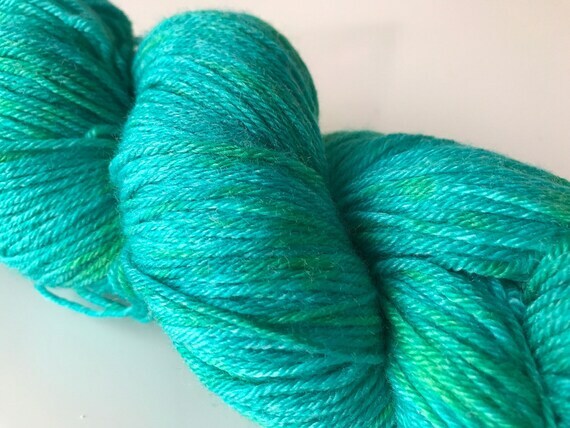 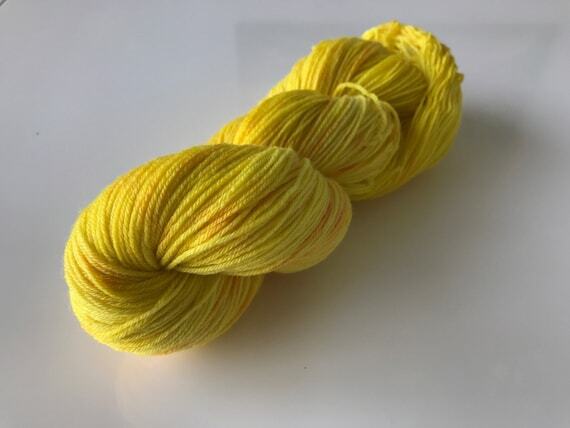 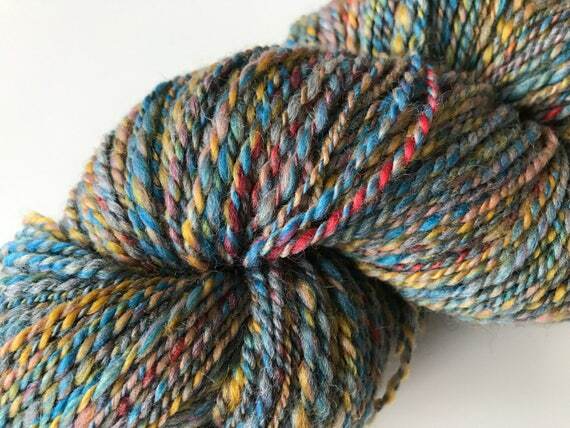 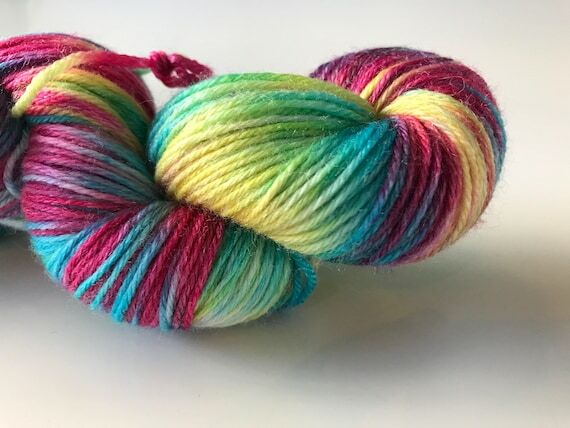 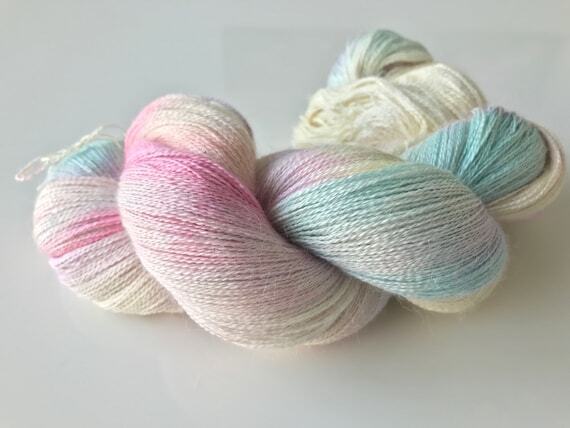 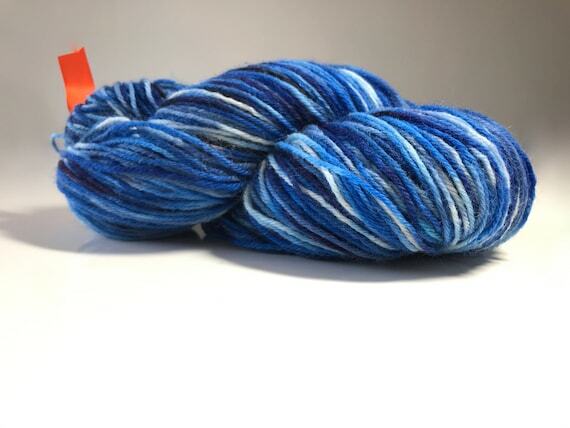 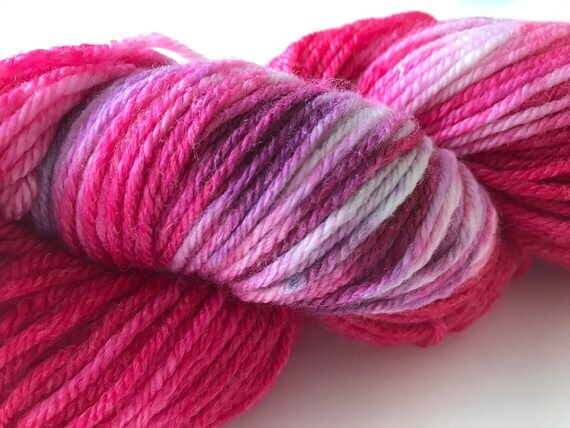 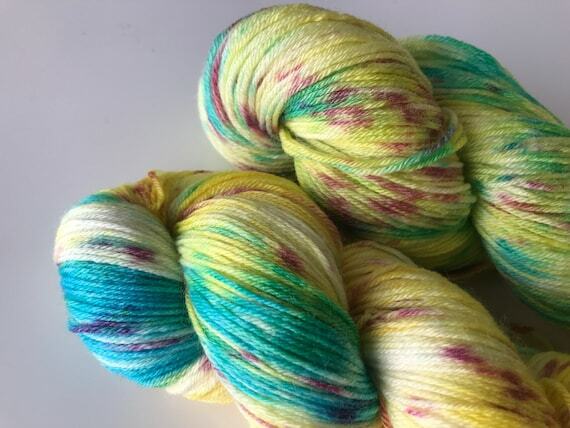 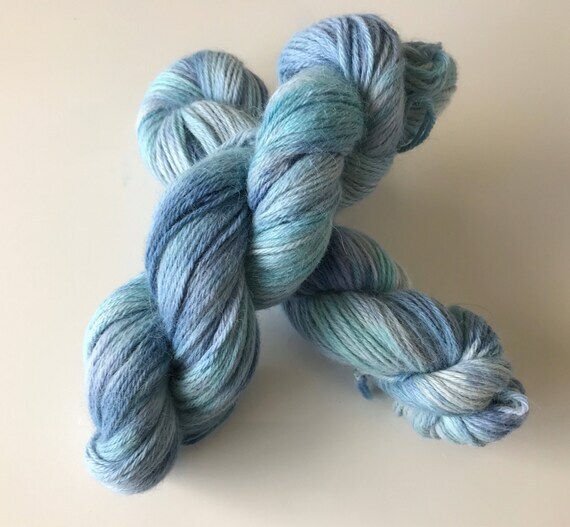 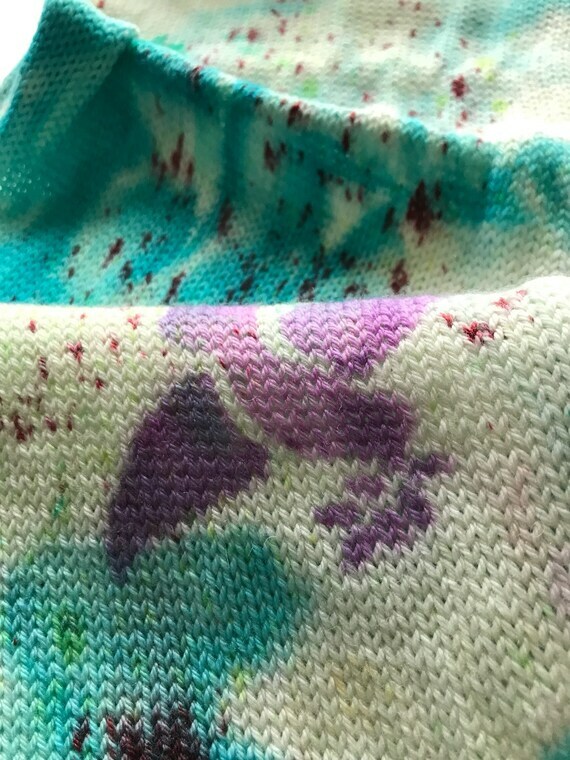 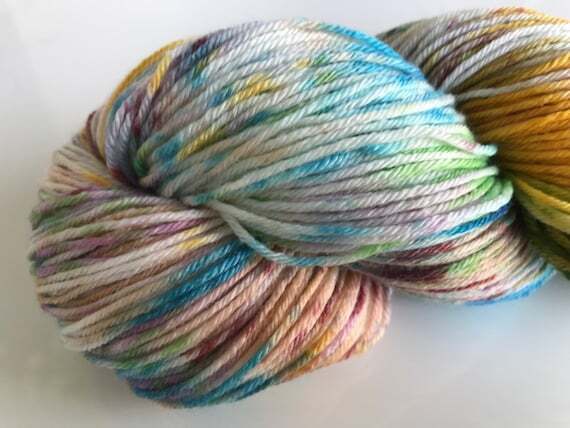 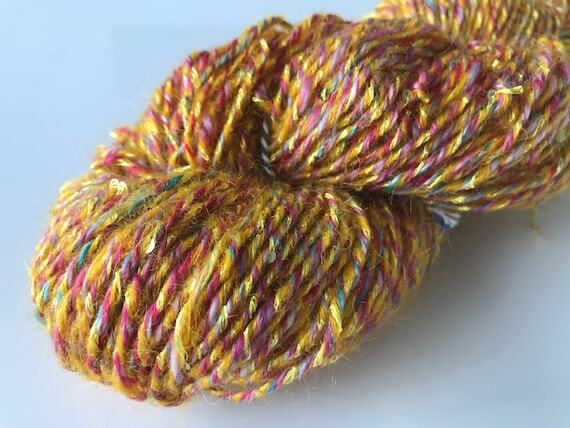 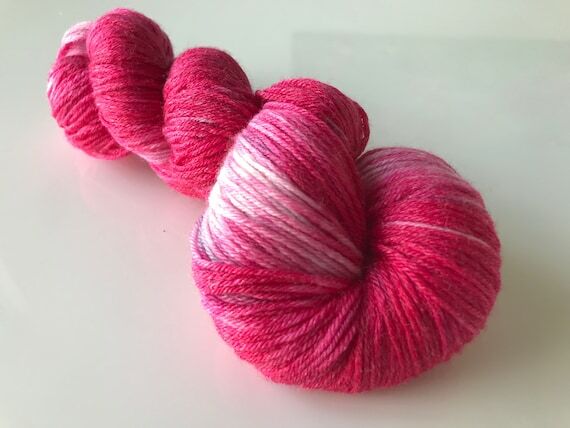 Sportweight hand spun yarn with BFL and Merino wool mix in blue, red, yellow and grey.